Charlie and Reece married at Ashdown Park Hotel, East Sussex. 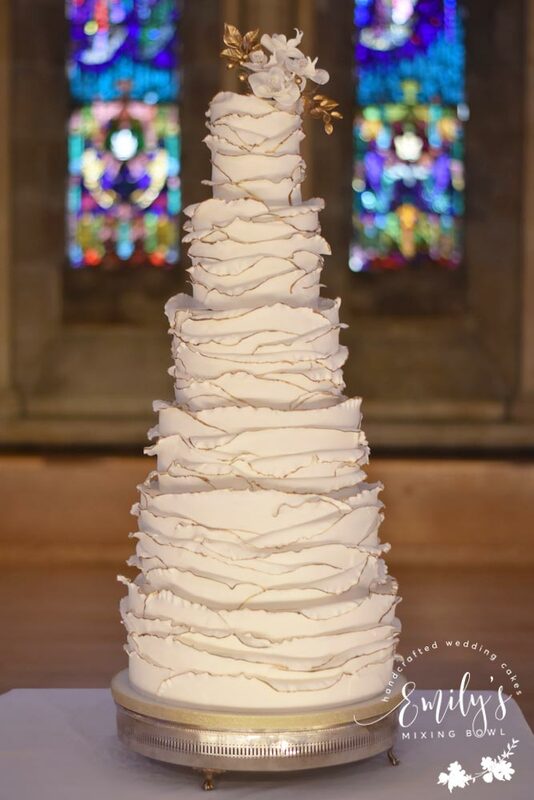 They had this 6 tier gold edged ruffle design which was a big statement in the Chapel at Ashdown which has high ceilings- this cake certainly took centre stage! The bottom tier was a dummy cake as the couple had 150 guests and this allowed the cake to be tall without too many excess portions of cake left over. I topped the cake with opulent sugar orchids and gold leaves which complimented the design perfectly.